Here is a vacancy under Ministry of Communication & IT recruitment 2018 for the post of Car Driver. This is a latest govt job for 10th pass candidate in Kolkata and all the information regarding this sarkari naukri is given below. Desirable qualification → Three years service as Home Guard or Civil Volunteers. 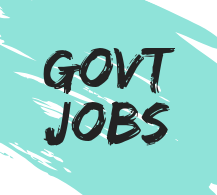 For Latest Govt Jobs update !! Subscribe- https://t.co/CDXzxxsa3w our Youtube channel !! Like our page for Sarkari Naukri notification !!! Address → Candidate must send the application to the address given in the notification link.